San Francisco, 2007. Madeline Moretti is grieving for her fiancé. Nothing brings her joy any more, and Maddie’s grandmother, a fiery Italian, sends her to Tuscany to heal. Here, Maddie is immersed in the mystery of a ruined villa. 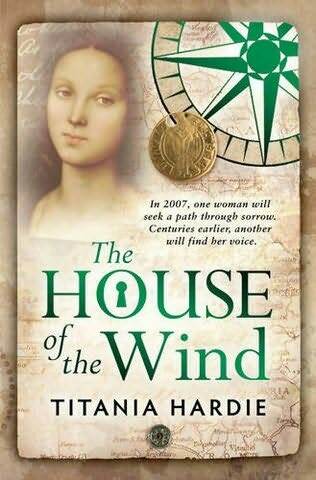 Destroyed centuries ago in a legendary storm on the Eve of St Agnes, it has been known ever since as the Casa al Vento – the House of the Wind. Tuscany, 1347. Mia hasn’t spoken since her mother’s death, and lives in silence with her beloved aunt. One dark night, a couple seek refuge in their villa. Used to welcoming passing pilgrims, Mia is entranced by the young bride’s radiance and compassion, but mystified by her reluctance to reveal even her name. Where has she come from, and why must her presence be a secret? I really wanted to like this a lot more than I actually did. I adore historical fiction and I love the cleverness of concurrent storylines, centuries apart, having bearing on each other, but this just didn’t work for me. The problem for me was that it was just too darned slow. Hardy uses achingly beautiful prose that absolutely sings off the page, but the plot unfolds at a maddeningly sedate pace, not just in one timeline, but in both. As a result, I grew bored with the characters, their loss, their pain, their motivation, and their relationships, and grew tired of waiting for everything to happen. The fact is, that the same writing device has been used before to better effect (if you’ve read Labyrinth by Kate Mosse, you’ll know what I’m talking about, and if you haven’t read it, I can heartily recommend it!) and I found myself forever waiting for something other than the writing to excite me. Truly, the writing often verges on the sublime and I give it a higher rating as a result, but it was let down by pedestrian plot and plodding pace. I will be interested in reading more by Titania Hardy if only to see if the tale is worthy of the writer’s obvious talent with words. Well, where to start? How about with just one word: WOW! 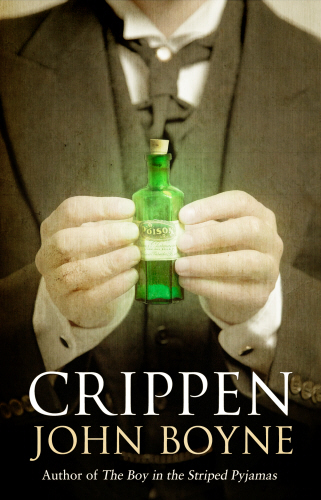 Crippen is quite one of the most gripping crime faction novels I’ve ever read. That’s the short version. This fictionalised account of a real and infamous crime that gripped the English-speaking world is nothing short of brilliant. The characters are sympathetically drawn, yes, even that of Dr Hawley Crippen himself. Boyne has taken one of Britain’s most notorious and mysterious killers and made him a human being; one with feelings and troubles with which one can readily identify. 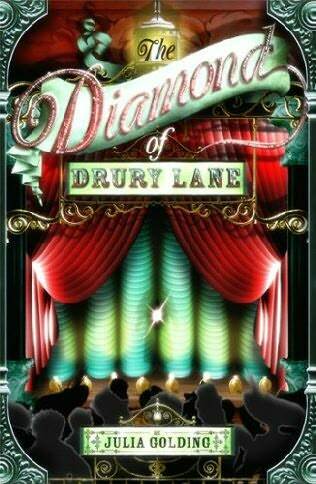 The relationship he suffers with his overbearing wife, Cora, makes one wish someone would kill her! Despite Dr Crippen being a name synonymous with gruesome and grisly murder, mystery and misconception surrounds both the man and the case, so proceedings are not so straightforward as one might expect. Indeed, Boyne manages to keep things suspenseful to the very end, which came as a huge surprise to this reader! I was completely drawn into the plot and loved the back-and-forth style of storytelling which revealed things little by little, drawing things out in such a way that there was always something unexpected around the corner. Time and again I was delighted by some little twist or turn till the thrilling conclusion which was immensely satisfying. It’s rare that a novel compels me to research a subject further, but this one has had that exact effect. I’m now fascinated by the man and the crime he committed (or did he? ), and urge all fans of crime fact and fiction to pick up Crippen as soon as possible. I guarantee you won’t be able to put it down till the last page has been turned. You can find out more about the Transworld Book Group HERE. The wounded men had been gathered up and they clasped an arm around a comrade’s shoulder as they limped painfully along the centre of the formation. Only the dead still lay in the street. With a ripping noise the blade came free and the Arab stumbled back, winded and bleeding. He glared at Macro, raised his shield and sword and fought to recover his breath. Then he attacked again. 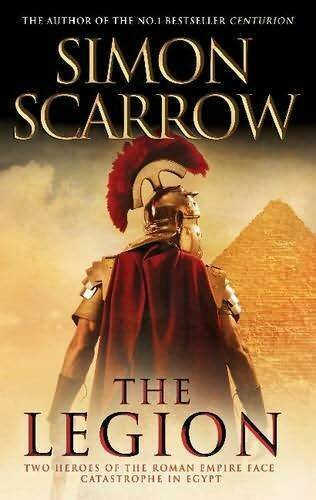 This is the tenth in Simon Scarrow‘s Roman series (also known as the Cato series) and everything just keeps getting more and more exciting! Scarrow is adept at plunging his readers right into the thick of things, bringing the sights, sounds and smells of life in the Roman army sharply to life .Both these snippets are from further on than I’ve read (I opened the book and chose at random where it fell open), and it’s got me even more excited about what’s coming! The head toppled down, bouncing off the horse’s flank, then beneath its hooves, which kicked it beneath our carriage; a swift gush of blood spewed from the decapitated corpse’s neck, then its brocade-clad shoulders fell back and away. Our wheels attempted to roll forward and were obstructed as if by a great stone; the driver lashed his steeds until they pulled with all their might. 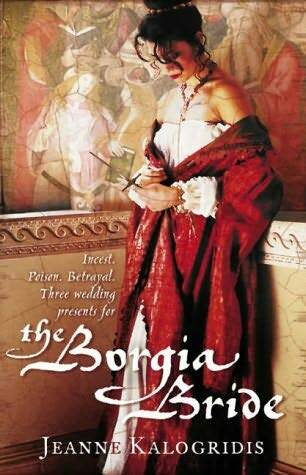 I picked this teaser as it reflects the horror the main character, Sancha de Aragon, witnesses as part of the Borgia family (she marries the youngest Borgia son, Jofre). Although it’s quite grisly and representative of the style of writing and the quality of description throughout, the story itself is only peppered with scenes of horror and is mostly exciting in a non-gory way – Sancha’s story itself is fraught with danger and fear. I’m really enjoying this novel (I love historical stuff anyway, but this is a particularly good one) and reading about the notorious Borgia family is exciting in itself! I send my son Henry a little cart on wooden wheels, that he can pull along, for his Christmas present, and my husband gives me a shilling to send him for fairings. In return I give him a silver sixpence to send to the little Duke of Buckingham, Henry Stafford, and we do not speak of war, or of the queen’s march south at the head of five thousand murderous, dangerous Scots, stained like eager huntsmen with the blood of the rebel York, or of my belief that our house has triumphed again, and will come to victory next year, as it must since we are blessed by God. This is the second in The Cousins’ War series. 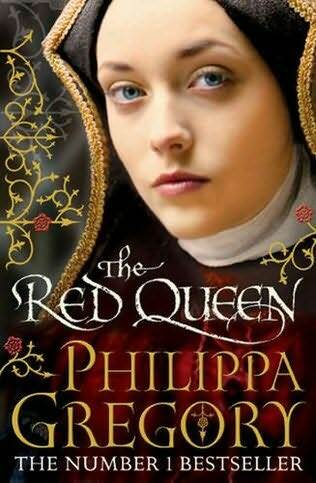 I read The White Queen last year and got this, the sequel, with some of my Christmas money. Now I’m eagerly awaiting The Lady of the Rivers, which will tell the story of Jacquetta, the mother of Elizabeth Woodville (who married Edward IV and was the subject of the White Queen).